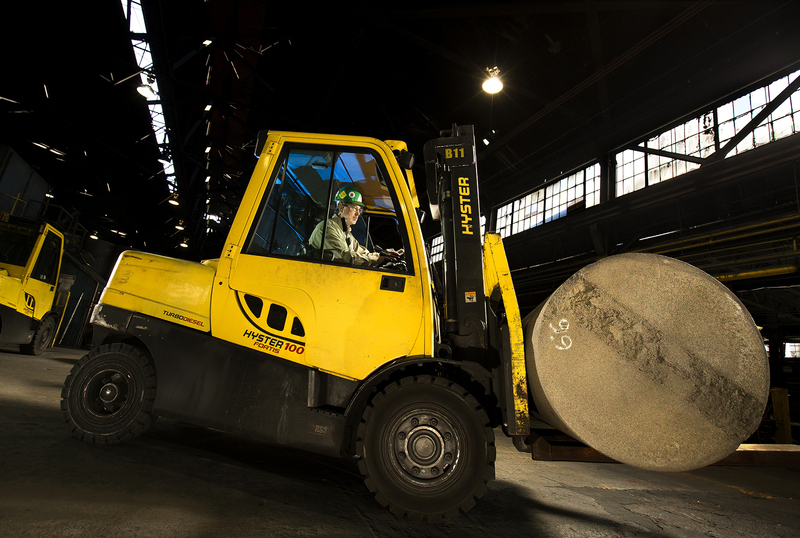 Special lighting makes it possible to see the face of an employee as he operates a Hyster 100 forklift in a North Carolina manufacturing company. Without strategically placed lighting, the employee would be too dark to see inside the cab. Too much lighting would wash him out.